My Instant Pot Pineapple Ham or Pressure Cooker Gammon & Pineapple if you grew up in England like I did, is the dream centrepiece for Christmas, Easter and family gatherings. Easy to prepare, cheap, can be made ahead of time and a favourite Instant Pot recipe in the Milner household. 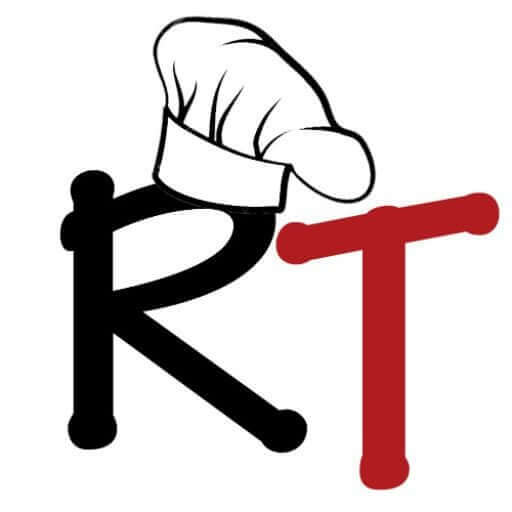 The RecipeThis.com 2018 Christmas Series Has Officially Commenced! I grew up in Britain and a dinner table was not the same unless you had gammon and pineapple that had been cooked in the pressure cooker. The gammon always tasted so tender and you always wanted to be greedy and fight your friends and family over the last slice. The first time I remember having Pressure Cooker Gammon & Pineapple in Portugal it was cooked by an Irish lady. It didn’t need much to it as it was good as it was. Its one of those things where you don’t need a huge amount of ingredients as the ham and the pineapple are the star. But now with Christmas about to be upon us Instant Pot Pineapple Ham seems to me, to be the most ideal cheap family meal that you could cook over this wonderful festive period. I think over Christmas, there is too much pressure on us all to provide everything for our family. The perfect presents, the perfect food, the perfect drinks. Then before you know it you have spent a small fortune on Christmas. Or you have lots of guilt because you can’t afford much at Christmas time. I love going over the top at Christmas, but I also am a savvy shopper too. My favourite supermarket has a sale on toys at least a month before Christmas and we snag lots of bargains then. As well as this we have a good kids second hand shop and they have excellent toys, baby items and clothes in there. Plus of course there are the charity shops. As well as all this I earn affiliate commissions from Amazon when you buy products via our Amazon affiliate links. We save this up in gift certificates and use it in the Black Friday deals on Amazon. And before we know it we have probably saved 80% compared to buying everything new at the last minute. Plus, for food, we get a loyalty card from our supermarket. We save as much as we can, and it gets added towards the Christmas food shop. Plus, we also go to the English supermarket and grab the deals on the Christmas chocolate and cakes that they have failed to sell. But if I didn’t have all these money savings on the go at Christmas I would settle for some Instant Pot Pineapple Ham as it is delicious and won’t break the bank! How Do You Cook Pineapple Ham In The Instant Pot? Place your gammon joint (ham) in the Instant Pot and layer the vegetables and the pineapple around it. Add the stock to the Instant Pot, cook and then take out to rest. Serve it with extra fresh pineapple. And that is all there is to it and for having the best ever Instant Pot Pineapple Ham! The Best Ever Instant Pot Pineapple Ham aka Pressure Cooker Gammon & Pineapple. A cheap yet delicious cut of meat and perfect served up with your favourite potatoes and vegetables. Peel and dice the carrots. Clean and dice the celery. Chop the bacon into bacon bits. Chop a whole pineapple in half. Put half to one side. With the other peel it and chop it into bite sized chunks. Clean the gammon joint and then pat it dry. Season it well with salt and pepper. Place the bacon in the Instant Pot inner pot in the centre and place the gammon joint over it. Layer the vegetables and the pineapple chunks around it. Pour over the pineapple juice and the stock and place the lid on the Instant Pot. Set the valve to sealing and cook for 60 minutes on manual pressure. Use quick pressure release and place the gammon on a chopping board to cool for a couple of minutes. While it is cooling slice up pineapple rings using the other ½ of the fresh pineapple. Serve while the gammon is still warm. You can use tinned pineapple but its just not as good as fresh. We used this chicken stock for this dish and it really made the gammon taste amazing. If you can get back bacon then please use it as its much better quality than streaky.